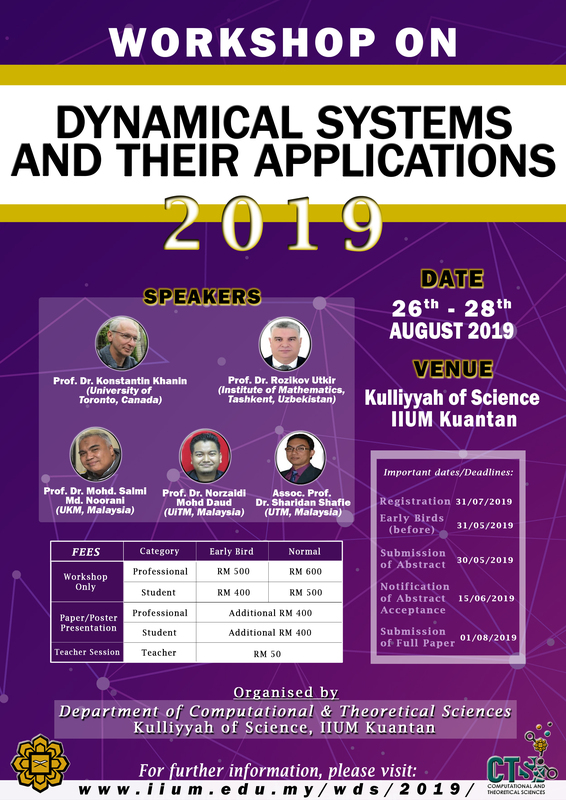 Department of Computational and Theoretical Sciences, Kulliyyah of Science, International Islamic University Malaysia (IIUM) will be organising a Workshop on Dynamical Systems and Their Applications 2019 (WDS 2019). The Date and Day is 26th - 28th August 2019 from Monday to Wednesday. Venue in Kulliyyah of Science, IIUM Kuantan.